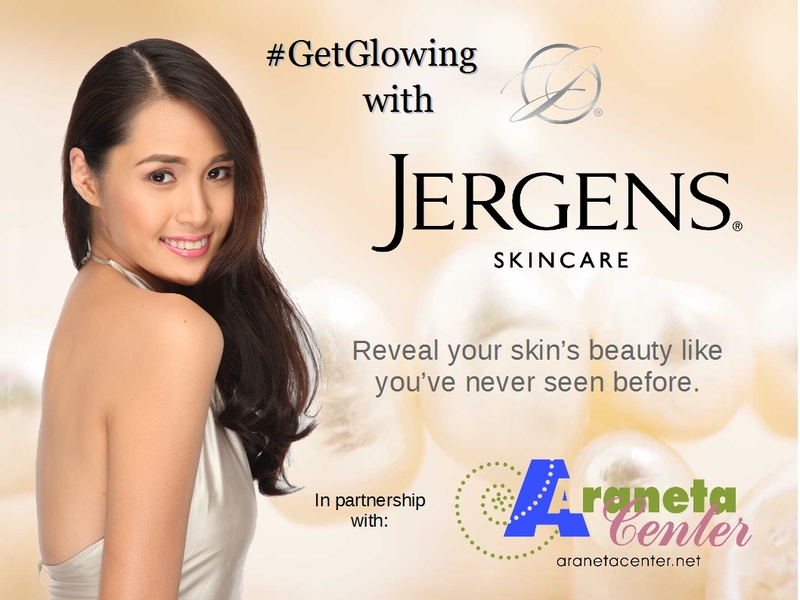 Get Glowing Skin With Jergens & Araneta Center! Ever since I was little, the brand Jergens was already established on my because that is the body lotion I always see on my mother and sister's vanity area. They bring it with them when we travel and restocks them frequently. The day came that I learned the importance of applying lotion for my skin and started using one too since my family and I consider Jergens as a trusted brand for moisturizers. I always have a problem of dry skin specially when I skip using one for at least a day and trying out different variants form Jergens makes it more fun for me to keep up the strict regimen of taking care of my skin. Jergens has always been an advocate for a healthier skin and they do not stop having innovations for a better product. I am so happy when I received a package from Jergens containing their famous body moisturizers for their new campaign of "Get Glowing" skin with Jergens and Araneta Center. Jergens aims for healthy, natural glowing skin by promoting healthy skin care habit and they have prepared various activities for us starting this month until the end of the year. Now, Jergens and Araneta Center teamed up for the campaign for everyone to enjoy and achieve healthy and natural glowing skin. 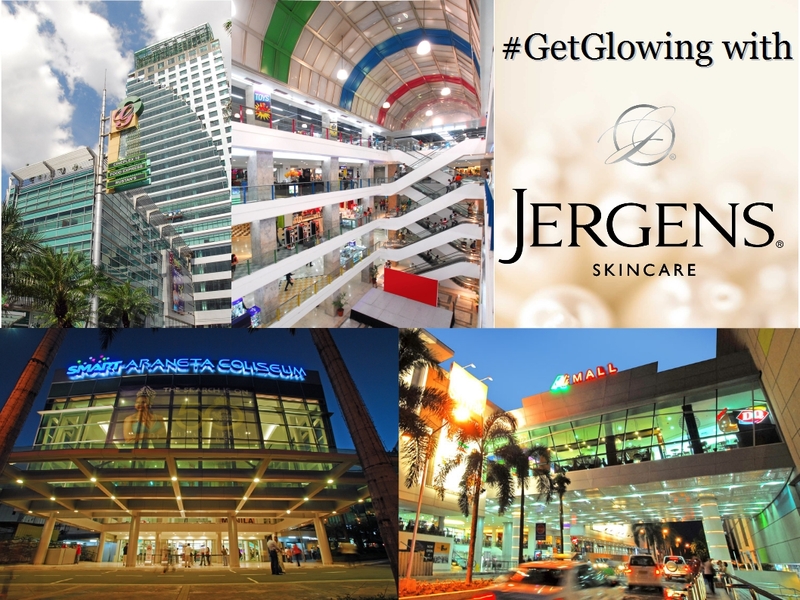 "Your trusted Skincare brand, Jergens Moisturizers, teams up with the metro's premiere beauty destination, Araneta Center, to launch #GetGlowing - a campaign promoting healthy, glowing skin for all. #GetGlowing aims to encourage everyone to take care of their skin through healthy living and proper skincare. As part of the campaign, Jergens Moisturizers and Liquid Soaps will be made available to valued guests and customers of Smart Araneta Coliseum, Gateway Mall, Farmer's Plaza, and Ali Mall in Araneta Center starting July until the rest of the year. 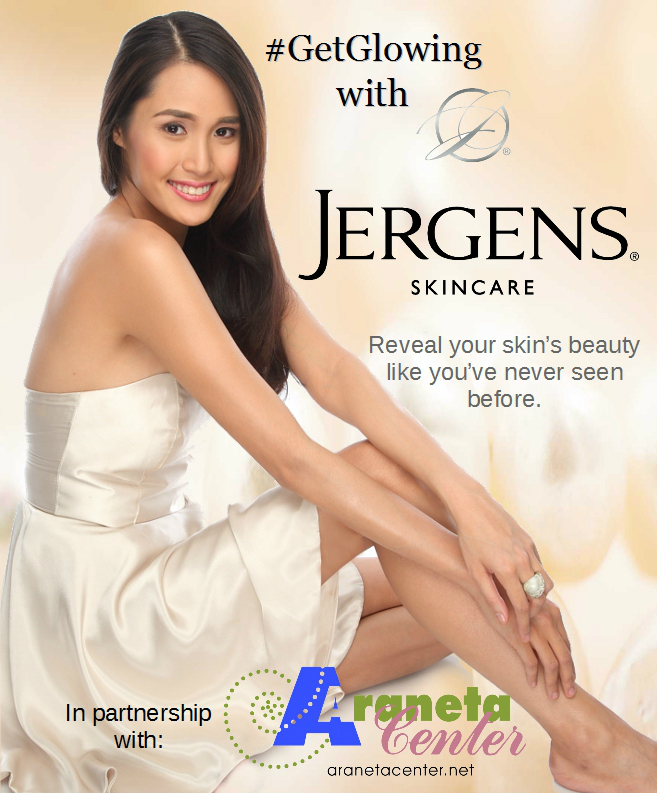 With this initiative, Jergens hopes to spread the habit of proper skin care with everyone. Jergens will also be hosting pocket activities in Araneta Center's Gateway Mall to showcase the advantages of having glowing skin and how it can be achieved. Participants will also get a chance to interact with our Skin Expert who will share tips on how to #GetGlowing with noticeably beautiful skin. I got the Original Beauty Lotion and Daily Moisture from my package. You can always try these kind of body moisturizers when you drop by Araneta Center. I already posted a review before for both lotions. You can read it here on my blog. It is not yet too late to try for your skin, join the campaign and let us all achieve healthy, glowing skin. To know more about Jergens, you can go to their website http://www.jergens.com.ph.